Again, these are averages. I have seen first year agents make over $750K, and I have heard of 3rd year agents make as little as $30K. But what about after these initial 3 years? According to the NAR and as supported by an ICSC report last year, the average commercial real estate agent made $129,000 GROSS commission in 2015. GROSS! Assuming a 50% split, that means that average CRE agent brought home around $65,000. Is that great, good, ok, or really bad? Well, again – on average- it depends on your level of experience. Once you hit the mid-career or seasoned veteran level (5 to 7 years and up) you probably recognized a cyclical nature of your income. But why? Why are personal commercial real estate brokerage earnings assumed by cyclical? Don’t blame it on the market – you don’t control the market. Don’t blame it on your broker, you are an independent contractor- they don’t control your income. If your CRE brokerage income is cyclical, that simply means you have not adapted. Yes, in the Great Recession of 2009, most agents’ income fell, but not all. In fact, some made more money in 2009 through 2011 than any time before. Thousands of CRE agents didn’t even survive. They simply blamed it on the lack of velocity in their area of focus. Those that did survive came out of the Great Recession stronger. They learned to adapt. They learned they were in control of their income and ultimate they earned what they deserved, not simply what they wanted. For long term success in this industry, your CRE commission income should be similar to a very sound bond, versus a fly by night, risky stock. Yes, we would all love our income to grow each and every year, but more so, we don’t want our income to fall off a cliff every so often. Average agents earn average fees for a reason – they simply don’t adapt; they don’t increase their personal value to themselves or their clients. The more consistently successful agent earns more, and do so consistently, because they simply deserve to. 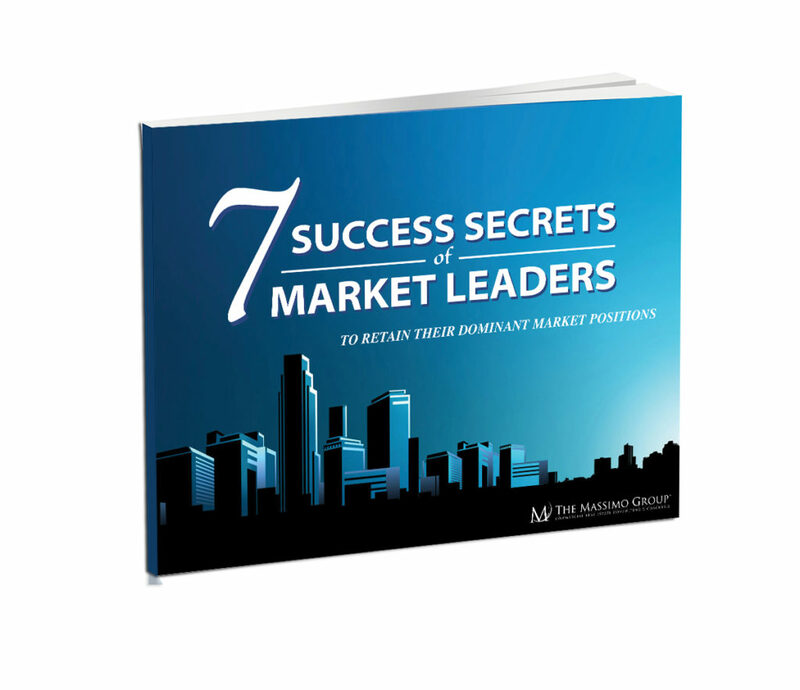 If you are tired of being average, I invite you to download our 7 Success Secrets of Market Leaders and look forward to your consistently strong earnings in the future.